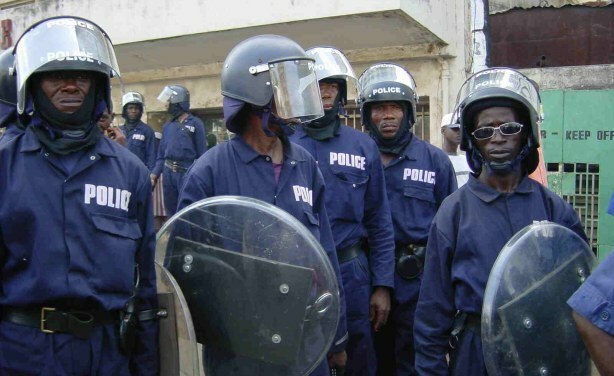 There are very dark political clouds engulfing Sierra Leone today – marking the 54th anniversary of independence, as heavily armed police in the south eastern district of Kenema arrest several peaceful protesters and senior executives of the country’s Human Rights Commission (HRC), for speaking out against the discriminatory enforcement of the state of emergency laws. Several protesters were severely beaten up by the police. One report from Kenema says that the director of HRC is now in police custody, following orders from State House for his immediate arrest. Today marks the 54th anniversary of Sierra Leone’s independence from British colonial rule. But it seems a different form of neo-colonisation is now poised to strangle all freedoms and civil liberty guaranteed under the country’s constitution. The ruling APC party’s ideological dogma, which sits comfortably within the Chinese communist manifesto, is now being violently enforced by a radical left-wing group of senior party grandees, led by the former ambassador to Beijing – the new, illegally appointed vice president Victor Foh. Victor Foh has made his position very clear. His loyalty, he said, is to the ruling APC party and president Koroma, and will stop at nothing to silence anti-government sentiments. Today’s arrest in Kenema vindicates those in and out of Sierra Leone, who strongly believe that president Koroma and his new vice, are poised to declaring Sierra Leone a one party state. 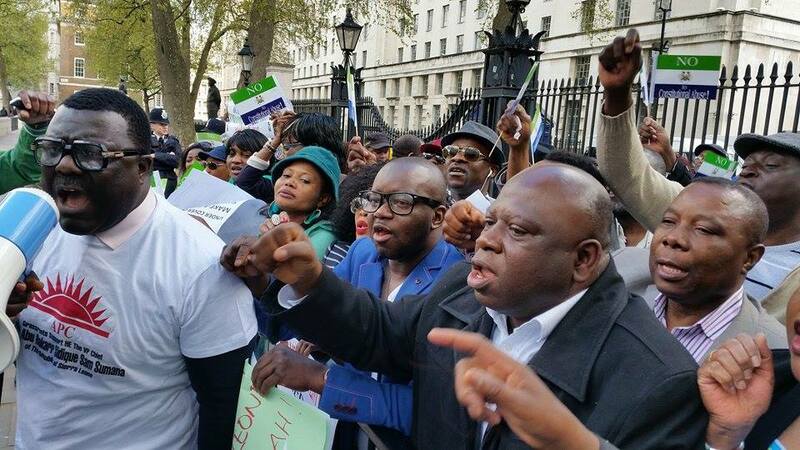 Sierra Leoneans living in the UK and the USA are today protesting in London and Washington, against president Koroma’s violation of the country’s Constitution. Thousands are said to be taking part in those protests. Few weeks ago, president Koroma unilaterally sacked the elected vice president and put in place a radical left-wing communist politician, who many regard as one of the architects of the country’s two decades of despotic one party rule. Although the country’s Supreme Court is now considering whether Koroma’s action is unconstitutional, few people in Sierra Leone have confidence in the judiciary. There are serious concerns now about the safety of opposition politicians and civil rights groups in the country, as president Koroma and his vice, clampdown on free speech and civil liberty. Where is Sierra Leone heading? When I first predicted that Ernest Bai Koroma will not finish his second term in office, many thought that, that was too ambitious a prediction for me to make. Now my words are gradually coming to light. The police are indiscriminately arresting people all over the country. In fear of more street defiance, EBK has refused to lift the state of emergency. Folks, chaos is what ensues when organizational leadership is broken. The truth is they can sugarcoat things all they want, the government of EBK is in serious trouble for trampling with the constitution. There is no other way to put it. He should be thinking of an exit strategy at this time. I hope he does so quickly, and spare more deaths and suffering of innocent people. Presidential aspirants should take note. This is not a tribal or party issue. It is arrogance in leadership issue.